Attending a coach tour is a delightful experience. However, you will need a relable transport company to take you and all your friend's and family around town. That is where we come to the rescue. Ellesmere Port Minibus is a well-known provider of coaches for hire. To travel safely, you will need a driver who will navigate the busy traffic and roads. By employing our services, you will be able to enjoy the sight-seeing, without missing out on any site. Please, Contact us if you are organizing a large-group tour of the beautiful Ellesmere Port. We will pick all of you on time and take care of you throughout the trip. You should also inform us of the booking, in case the guests are picked from different locations. This way, we will communicate and finalize on the pickup time for everyone. Discover the world underwater at the Blue Planet Aquarium. Visit the Chester Racecourse for a thrilling time on the sports ground. You could visit the Liverpool FC stadium and museum. 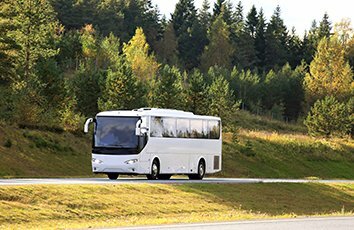 Ellesmere port coach hire offers various standard, executive and luxury vehicles for hire. We have vehicles that can accommodate between 4 and 72 persons. We can meet the needs of any group size as we have experience coordinating both small groups and large groups. We have in fact been successful in transporting passengers as much as 2,000 passengers. Irrespective of your transportation needs, we are up to the task. Whatever the event- airport transfer, school excursion, wedding, transporting important guests, etc. Just give us a call and we will meet all your transportation needs. We have smart, uniformed and experienced chauffeurs. We understand that our drivers are our brand ambassadors so we employ the very best. Our drivers are well trained in excellent customer service and have a profound knowledge of vehicles and roads. In line with company policies, we do our best to constantly check our drivers for alcohol and drug use.